Four years after releasing their eponymous debut album in 2011. 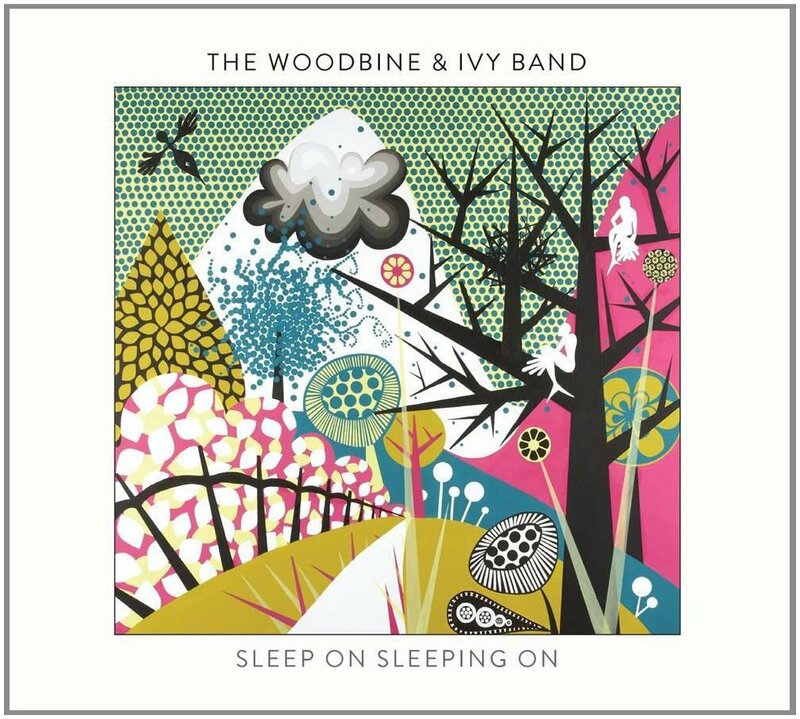 The Woodbine and Ivy Band return with their new album Sleep On Sleeping On. It was released in March 2015, on Static Caravan Recordings, and sees The Woodbine and Ivy Band head in a different direction from their eponymous debut album. Sleep On Sleeping On, which partly, was inspired by G.I. Gurdjieff’s theories on what he termed “waking sleep,” sees The Woodbine and Ivy Band combine folk, psychedelia , progressive rock, jazz and country rock. Seamlessly, they switch between musical genres. Sometimes, they fuse several genres within the same song. Whether its traditional ballads, cover versions or new songs, The Woodbine and Ivy Band are at the top of their game. Especially, their twin vocalists Jenny McCormick and James Raynard. Both have the ability to breath life, meaning and emotion into songs. Especially Jenny McCormick. She sounds as if she’s lived some of the lyrics. Jenny’s vocal is variously ethereal, tender, hopeful, needy and heartfelt. Jenny McCormick is one of The Woodbine and Ivy Band’s secret weapons on Sleep On Sleeping On. It’s almost unfair to refer to someone as the star of The Woodbine and Ivy Band. After all, everyone played their part in the sound and success of Sleep On Sleeping On. They’re responsible for an album that’s well worth the four year wait, Sleep On Sleeping On. Peter Braatz was looking for just one artist to provide the soundtrack to his Blue Velvet Revisited project. Originally, he chose the Cult With No Name, one of his favourite bands. Then he heard a stunning trumpet piece. Erik told Peter that it was played by Luc Van Lieshout of Tuxedomoon. For Peter, this was another coincidence. He was also a fan of Tuxedomoon’s music. 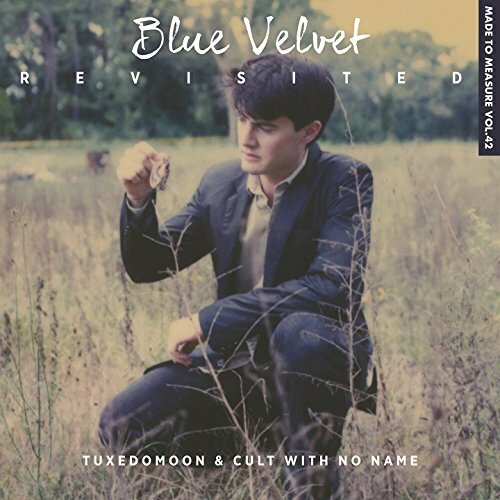 So, one became two, and Tuxedomoon and The Cult With No Name cowrote and produced the soundtrack to Blue Velvet Revisited. It was released by Crammed Discs in October, and was Volume 42 in Crammed Discs long established Made To Measure series. Blue Velvet Revisited is worthy addition to the series, and is proof that sometimes, two heads are better than one. Tuxedomoon and Cult With No Name have penned and produced a score that’s variously ambient, beautiful and dreamy, to ethereal, erring and evocative. It also veers between moody and broody, via dark and disturbing to joyous, melancholy, rueful and wistful. It’s an emotional roller coaster. Incredibly, Tuxedomoon and Cult With No Name have managed to create such an evocative score without drawing inspiration from Angelo Badalamenti’s classic soundtrack. That took some doing. After all, Blue Velvet and Angelo Badalamenti’s soundtrack were like yin and yang.Hopefully, that will be the case with Tuxedomoon and Cult With No Name’s Blue Velvet Revisited score and Peter Braatz’s film. It will provide a remarkable insight into the making of Blue Velvet, while Tuxedomoon and Cult With No Name take viewer on a genre-hopping musical adventure. From ambient and contemporary classical, to electronica and experimental via jazz, neo-classical, post rock. It’s a captivating, musical journey, where Tuxedomoon and Cult With No Name continually toy with the listener’s emotions on the suite of musical soundscapes that comprise the emotional roller coasters that’s Blue Velvet Revisited. Like many artists, William Fitzsimmons draws upon personal experience for his songs. That has been the case since William released his 2005 debut album, Until When We Are Ghosts. Since then, William has released a further five albums.Each album has proved a compelling insight into William Fitzsimmons’ life. That’s the case with Pittsburgh, which was released by Grönland Records in May 2015. Pittsburgh has been a long time coming. It was ten years ago that William first thought of the album, and the two themes that run through Pittsburgh. 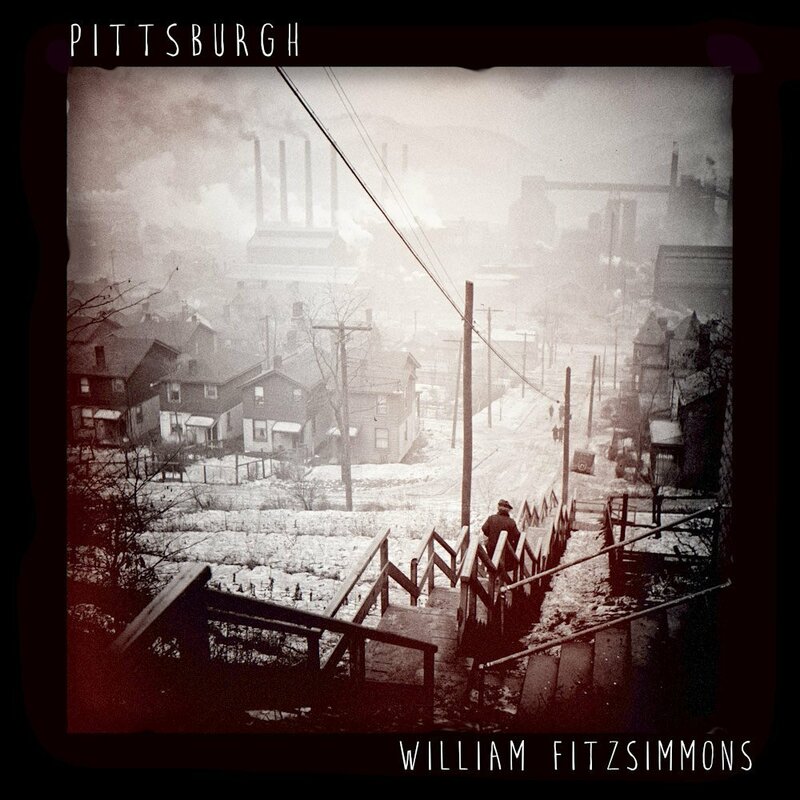 William describes Pittsburgh as: “It’s a memorial for my grandmother, who lived her whole life there, and it’s an honorarium to my hometown.” This makes Pittsburg a hugely personal album from the William Fitzsimmons. Most of Pittsburgh’s arrangements are understated. Some are atmospheric. Often that’s down to William use of washes and waves of guitar. They play a part in framing William’s vocal. Quite rightly, they take centre-stage. Each of William’s vocal is heartfelt, and full of emotion, sadness and regret. His lyrics are variously beautiful, cerebral, melancholy, poignant, thoughtful and touching. Often, it’s possible to relate to the lyrics. Especially when William deals with death, and the loss of a loved one on what’s a beautiful and poignant album. It seisms that with every album, Willie Nile releases, his music was being heard by a much wider audience. If I Was A River, Willie’s tenth album was something of a game-changer. Released in Britain on January 2015, If I Was A River introduced a new generation of music lover’s to Willie Nile’s music. No wonder. 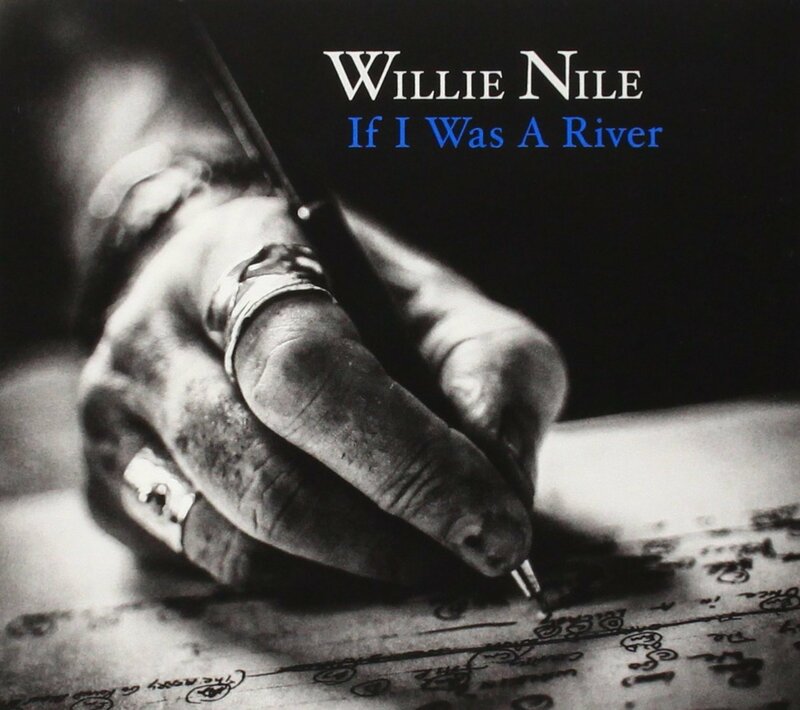 If I Was A River, was a very different album from Willie Nile. If I Was A River was a much more understated album from Willie Nile. The piano was at the centre of If I Was A River’s sound. So were ten captivating songs and a tight, talented band. They played their part in an album that was released to critical acclaim. It lead to a new generation of music lovers discovered Willie Nile’s tenth album, If I Was A River It’s one of the best albums of his career. Mostly, If I Was a River is an album of songs that are variously beautiful, heartfelt, introspective, poetic, soul-baring and soul-searching. They’re also tinged with melancholy, sadness and joy. Tales of love and love lost, sit side-by-side with tales heartbreak and hurt. If I Was A River is a very personal album from Willie Nile, one that’s best described as an emotional roller coaster. Before embarking upon a solo career, Louisiana born singer-songwriter Zachary Cale was a member of several college bands. By Zachary’s own admission, most were short-lived, and none of them were particularly successful. However, they taught Zachary Cale about stagecraft and songwriting. So when Zachary embarked upon a solo career, he was more than ready. He was ready to step out of the shadows, and take centre-stage. However, success didn’t come easy for Zachary Cale. It was only after releasing nine albums that his music began to reach a wider audience. Blue Rider, which was released in 2013, was a game-changer for Zachary Cale Following the success of Blue Rider, Zachary Cale’s thoughts turned to his fifth album, Duskland. It was released on No Quarter in August 2015. 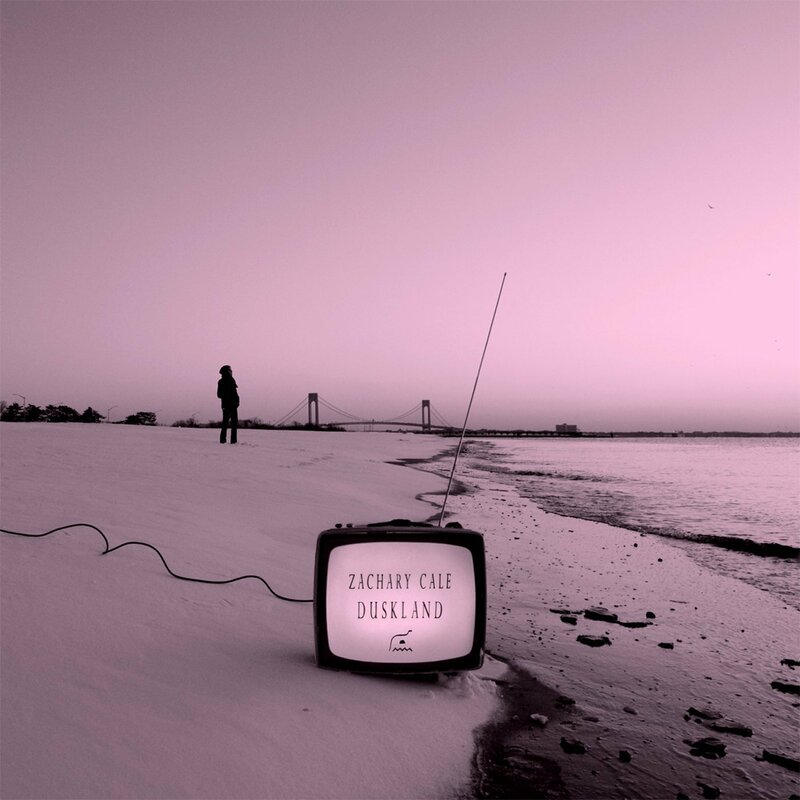 On Duskland, Zachary Cale seamlessly flits between Americana, country, country-rock, Neo Folk and rock. He’s just as comfortable singing country, as he is singing Neo Folk. Zachary Cale is a truly versatile singer, one whose capable of writing incisive, cerebral and cinematic lyrics. They tell stories, stories of people’s lives, their happiness, hopes, hurt and heartbreak. These songs come to life on Duskland. It’s a career defining album from Louisiana born troubadour, Zachary Cale who musically comes of age on Duskland, which is a near flawless opus. That’s what I consider to be the fifty-five best new albums of 2015. As you can see, it’s an eclectic list; featuring everything from ambient and avant garde, to electro, experimental and folk, free jazz, through indie pop, progressive rock, psychedelia and rock. That’s not forgetting folk rock, post rock and space rock. The music on each of the albums is innovative, inventive and influential. Mediocre isn’t in these musicians dictionary. Leave that to the third rate Nu Soul singers and hip hoppers. They don’t feature on the fifty-five best new albums of 2015. Never will. Instead, the artists on the fifty-five best new albums of 2015 are the musical creme de la creme. They come from far and wide. This includes Norway, Sweden and Finland. That’s not surprising. The Nordic Wave movement features some of the most most talented and innovative musicians. There’s also artists and bands from elsewhere in Europe, including Germany, Romania, Scotland and England. Then there’s artists and bands from North and South America. American and Canada represent North America; with Argentina and Peru represent South America. A man whose travelled even further afield, is the former wedding singer, Omar Souleyman. His star is still in the ascendancy, and for the second time in three years, makes the list of best new albums. He’s not alone. Other bands and artists have graced the list, and doubtless will do so again. We’ll know who, once 2016 draws to a close. Before that, there’s a lot of music to listen to. Enjoy. ← THE VELVET UNDERGROUND-LOADED (IMPORT).